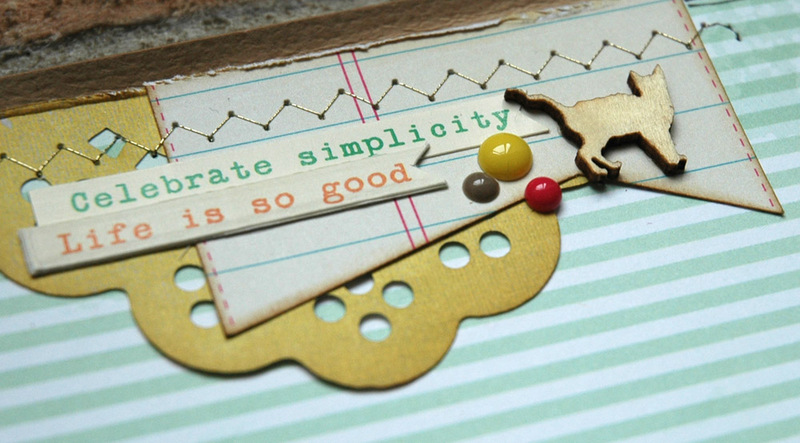 Paper Issues: Simple Scrapper Sketches | Blog Hop and GIVEAWAY! Hi everyone! A few of the Simple Scrapper girls are joining some of the Paper Issues girls in a fun blog hop for the new Paper Issues: Simple Scrapper Sketches! If you’re hopping along or new here, welcome! You should have come from Kristine‘s blog – if not, or if you get lost along the way, go to Paper Issues for the full list. We’re all using the same sketch and I love seeing how different our LO’s are – it’s so much fun to see all those varying interpretations of one simple template! Anyone who follows me on Facebook or Twitter will already recognize this sweet girl – she went missing for almost a week a little while ago. The hidden journaling on this LO, along with a picture of Rosie the day after she came home, tells that story. and then outlined the letters with my Faber-Castell Pitt pen. 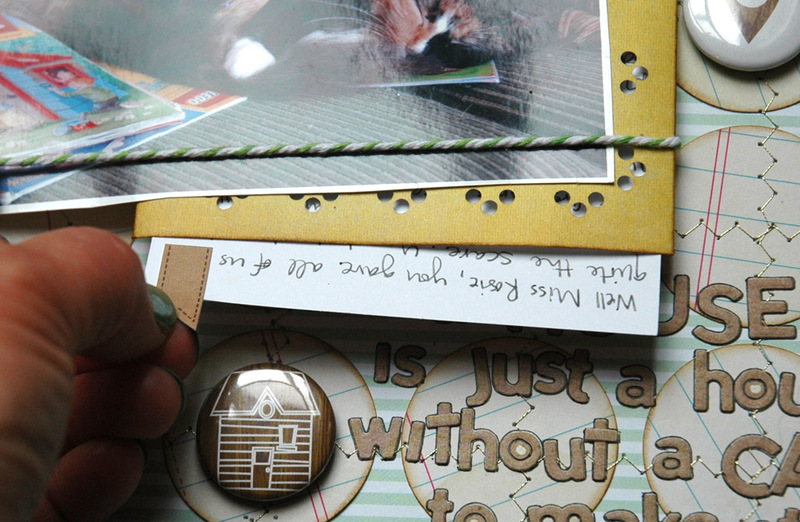 Some layering and a Studio Calico wood veneer cat at the top to draw you in and I was done! To see more fabulous inspiration and get more chances to win, keep hopping! Your next stop is the Simple Scrapper blog. Enjoy! Thanks – I’m glad it brought you a smile and happy thoughts! oh… this is soooo YUMMY!!! I’m in love with how you flipped the sketch and your titlework and the flair! So sweet! I like that you made the circles the same neutral pattern. I love that you used a house for the O in “home”. 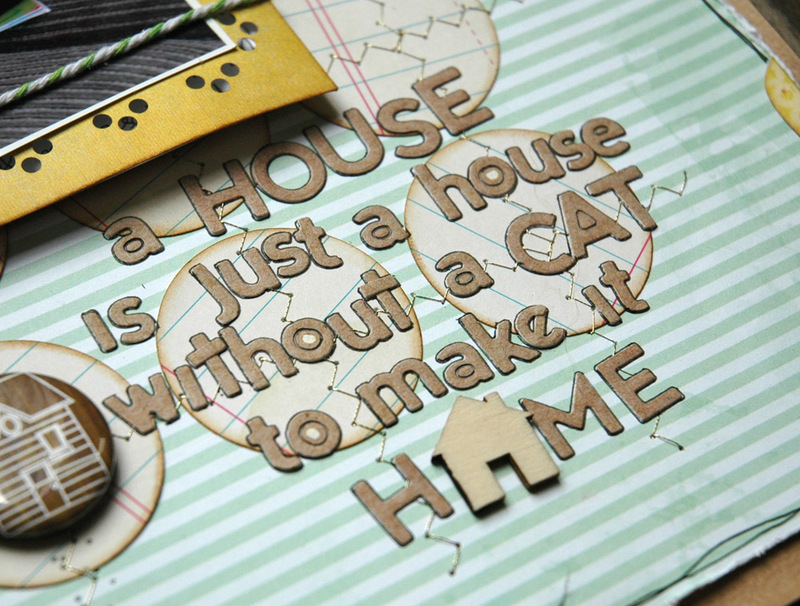 Those wooden cats are beyond adorable. Thanks Melanie – I love substituting objects for letters when it fits! So much I love about this page! Sara, this is so gorgeous! I love all the details, it’s paper layouts like this that make me wish I worked in paper! Perfection! Great LO!!! Thanks for the inspiration!!! I totally love this Sara! thank you so much for being a part of this issue/hop! Thanks Aimee – it was fun! This is just adorable Sara!! Such a sweet kitty…love your title. Thanks for sponsoring our “issue” over at PI!